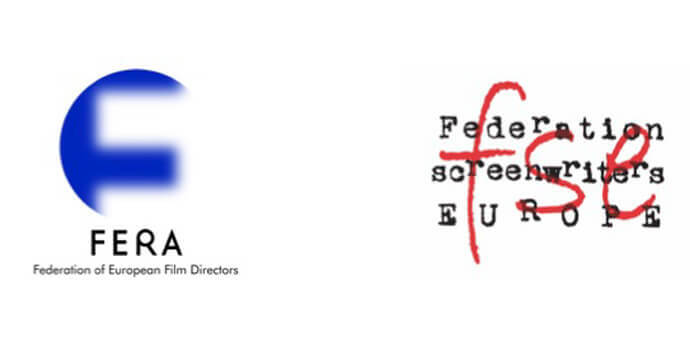 The Federation of European Film Directors (FERA), the Federation of Screenwriters in Europe (FSE) and International Federation of Cinematographers (IMAGO) welcome the adoption by the European Parliament of CULT rapporteur Silvia Costa’s report on the proposed Regulation establishing the Creative Europe programme 2021-2027. The report sets out an ambitious vision for culture in European policies by doubling the programme’s budget, securing 58% of its envelope for the MEDIA programme, strengthening its essential support for the European audiovisual sector in key areas, and promoting measures to foster gender equality in the European audiovisual sector. (1) Support to European networks of audiovisual creators. Creative individuals in the audiovisual sector would have the same opportunities as their colleagues from other cultural and creative sectors to capacity-building, innovation and talent promotion through networks in Creative Europe, after being excluded from the Culture strand in 2013. Forums where they can find innovative ways to tackle the specific challenges they are facing today, from attacks on freedom of artistic expression to the evolution of their craft and relationship to new audiences in a fast-changing industry, are direly needed. (2) Measures to contribute to the fair treatment of creative talent in the audiovisual sector. We applaud the introduction of this notion in the values of MEDIA: fostering a diversity of talent, including through gender balance measures, cannot be achieved without setting out a sustainable framework for creators, which includes fair treatment of authors and respect of their moral and economic rights on projects benefiting from MEDIA support. We call on the European Parliament to uphold this position in the trilogue negotiations to take place in the second semester of 2019.